Fuzzy Thoughts: Fuzzy Knits, take 2! At long last, after a year's worth of knitting, writing, editing, photographing, proof-reading, formatting, (and on and on, it seemed) the second edition of Fuzzy Knits is ready! I've written a bunch about the individual designs before, so I won't get into them now. You can go here to see images of all the patterns. I'll just leave you with the details of where you can get it (clicking the links to follow will take you to where you can purchase the book). The download version (i.e. a PDF file) can be bought on Ravelry and Lulu. The file you download includes the cover. This option is really nice, because you can print it yourself and keep it in a handy binder or plastic sleeves. The printed book can be bought on either Lulu or Qoop. These two shops offer slightly different versions of the book: on Lulu the book is perfect-bound with a soft cover and full-colour photos, while on Qoop the book is coil-bound with a soft cover and you can choose between black & white or full-colour photos. Now for the tricky part. We are offering a copy of the new book to anyone who bought the first edition of Fuzzy Knits. Because Lulu does not give us a list of who buys what, we will need to see a copy of your receipt for the old book*. You can forward that to barbara at fuzzymitten dot com. Then I will email you a PDF file of the new book. Please be patient, as it may take me a few days to get through everyone's emails. EDIT: I’ve also discovered that if you no longer have your Lulu receipt for ‘Fuzzy Knits’, you should be able to find a purchase history in your Lulu account. So you can just copy that info into an email and send it along to me. Also, you might notice that we updated the cover of Festive Knits. This is so the style matches the cover of Fuzzy Knits, but the content of that book has not been changed in any way. *Please note that if you bought a printed copy of the first edition, we cannot replace it with a printed copy of the second edition. You will receive a download copy of the new book. Posted by Barbara Prime at 12:29 p.m.
Just love all of your little gang you've created! 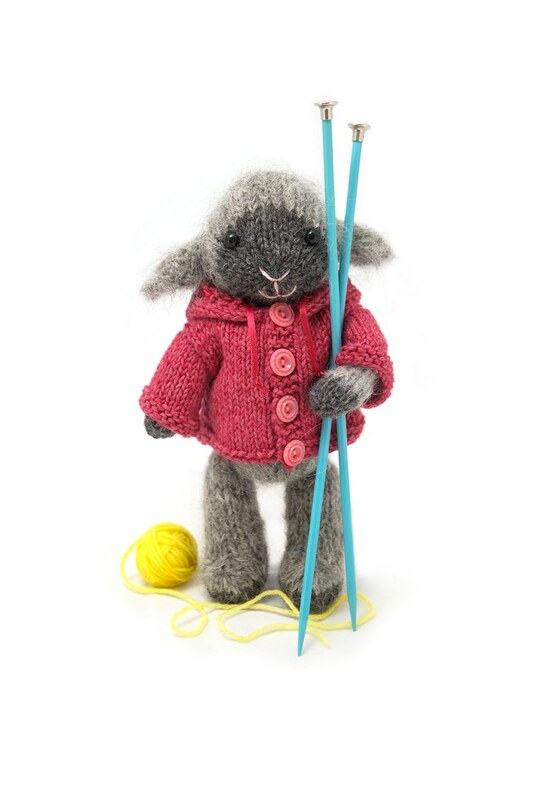 Currently getting ready to knit your little hand puppet, using the kit I purchased too. Thank you for all the lovely creations. March 25, 2010 at 2:32 a.m.